Magnetism is a strange force, mysteriously attracting one object to another apparently through empty space. It has been claimed as a great healer, with magnetic therapies being proposed over the centuries and still popular today. Why are its mysterious important to solve? In this Very Short Introduction, Stephen Blundell explains why. For centuries magnetism has been used for various exploits; through compasses it gave us navigation and through motors, generators, and turbines it has given us power. 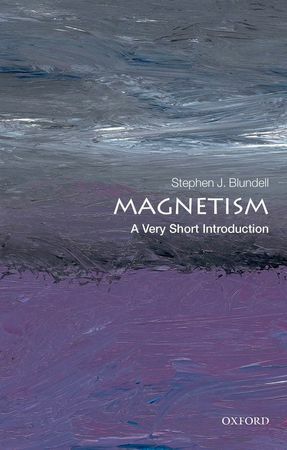 Blundell explores our understanding of electricity and magnetism, from the work of Galvani, Ampere, Faraday, and Tesla, and goes on to explore how Maxwell and Faraday's work led to the unification of electricity and magnetism, thought of as one of the most imaginative developments in theoretical physics.